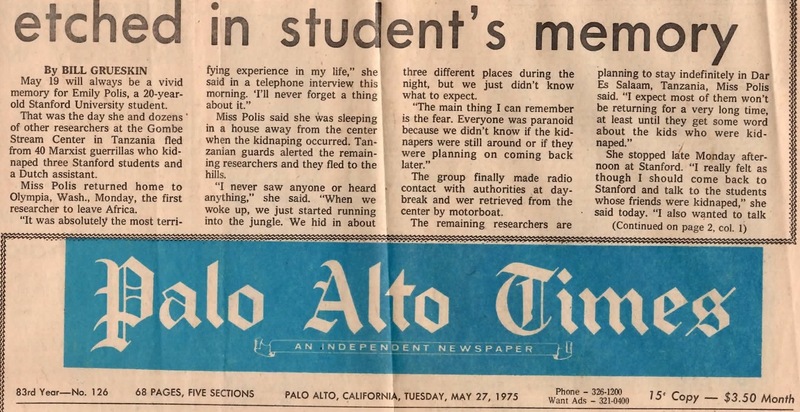 For me the kidnapping is one part, and the opportunity to study with Jane Goodall is the other part, and I do remember how thrilled I was that you were going. A question: Does the way the trip ended overshadow the wonderful way it began?? That’s one of those stories that makes you go “Wow!” Wow! From my “Stories that make you go ‘Wow! 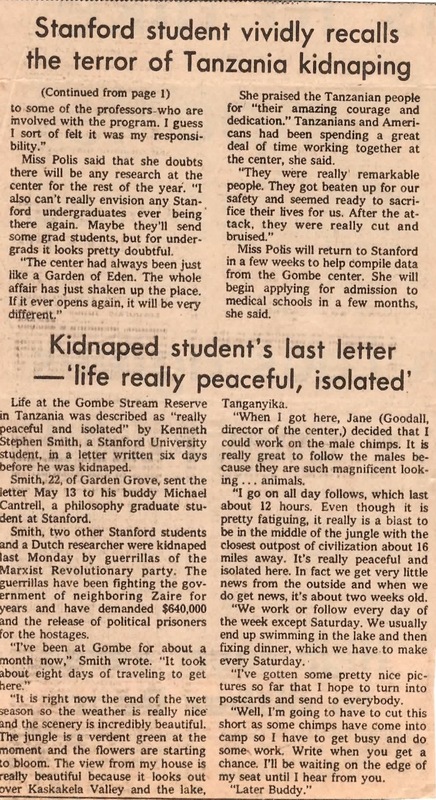 '” file: This is from one of my must-read bloggers Dr. Emily in Washington state, a physician and wonderful, spiritual writer who worked with Jane Goodall back in the day. My goodness Emily. You certainly have had many interesting experiences in your life. What memories to share with your future grandchildren! !